We have some exciting updates and news to share with you after, what admittedly, we'd call "a time too long". 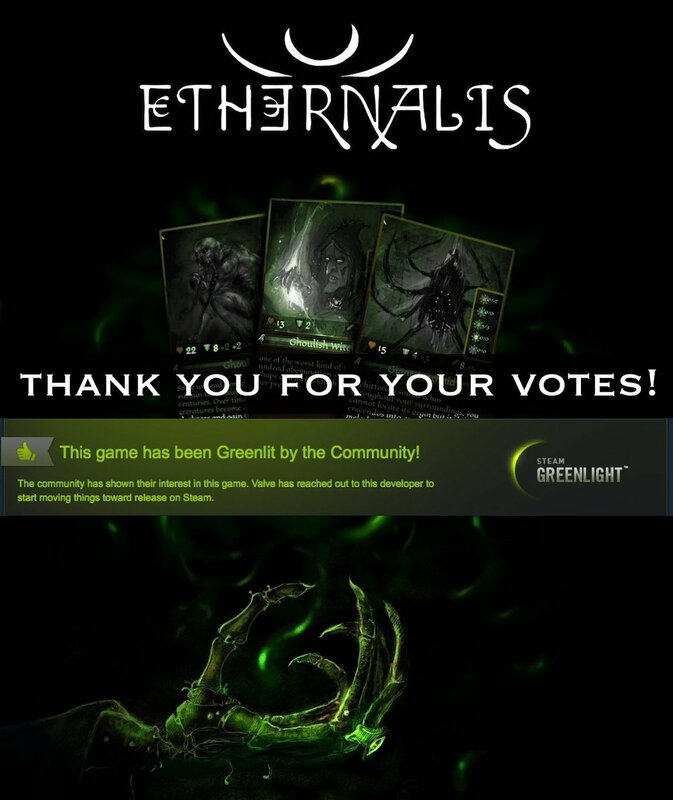 Let's begin with Big, amazing thank you to all our friends, supporters and voters that greenlit Ethernalis - Alpha Access on Steam! Our startup indie game dev studio is now a Steamworks partner with Valve and were working hard behind the scenes to publish the game some time soon. Since last time you heard from us, the game has been updated multitude of times bringing many new features, that we feel is bringing us closer to our Classic RPG Roguelike dream of game. 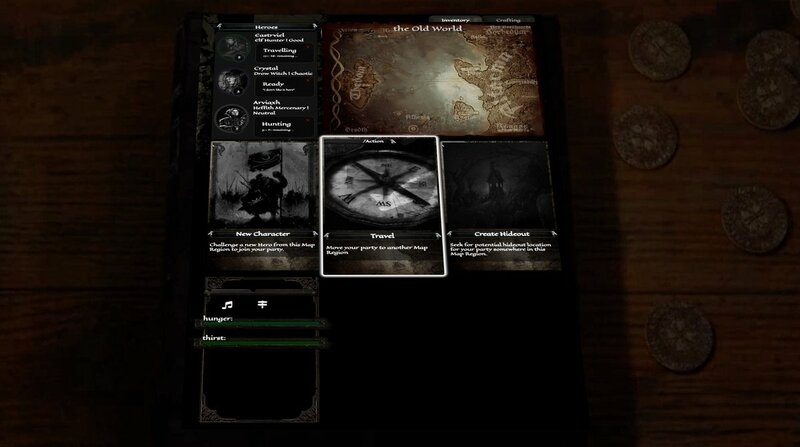 Game action log - displayed next to the game board, allows players to keep a closer look on what exactly happened and provides general information on the results of their hero's actions as well as those of their opponents and the environment. Shields - new ( rather self explanatory ) item class. Equipping shields will automatically un-equip any two-handed, be it, melee or ranged weapons currently held by you hero. Item durability - items found in the dungeon now also differ in their condition, which will deteriorate with use (Blacksmith's tools can be used to restore it ). Weapons, shields, helmets & armours which loose all the durability points will no longer provide any benefit to the hero's stats and will be marked as broken in the inventory. Logic behind magic - Magically talented characters (those who's base max mana is greater than health points) now start the game with 3 randomly selected 0-level spells, making them unique in their knowledge of craft. Warlocks (those characters who's starting max mana is equal to max health) will begin their adventures with one randomly selected spell to compliment their game style. If characters max mana points exceeds their maximum health points, they will have an experience level based chance of permanently learning the spell they cast from a scroll. Enchantment and crafting update - runic tools will give your hero a chance to empower common items, weapons and armour with magic. (Percentage chance is determined by max mana). Many new crafting recipes will allow your hero to produce equipment that often exceeds current dungeon level and hence could not be acquired otherwise at this time. Survivors - very excited to announce that your hero may now actually survive the depths of our dark and unforgiving dungeons (we made sure that it's still very unlikely ;D ) and surface once again to the vast and beautiful Old World. 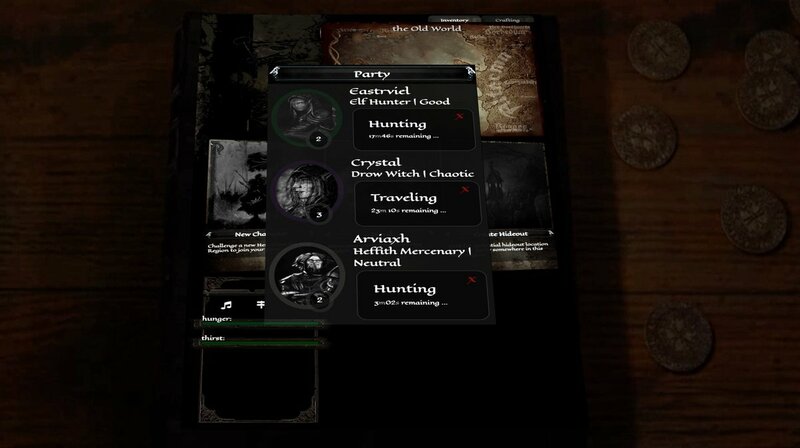 This way each player can now have up to 3 characters to role-play with (we're now working hard on creating the next stages of their adventures). We have added new quests, unique events, enemies and items. PC client scroll control now allows you to zoom in and out the game board to improve the readability of some UI components. Android client will now also indicate if your hero has received damage with a shaded border of the viewport. We will be back soon with a more complete list of what's new and what changed.